WordPress is a very versatile open source software which has enumerable applications. Some of the applications include Blog, Content management, User based social networking website, ecommerce, etc. WordPress is easy to setup for the most part however if you do require a website with a few good features and functions that make the website more attractive to the user, then you would probably need to hire a WordPress Web Developer. Alakmalak is one company that is involved in Word Press Web Development. Super Admin: The user with access to the blog’s network administration features, who can control the entire website and its users. Administrator: The user with access to all the administrative features. 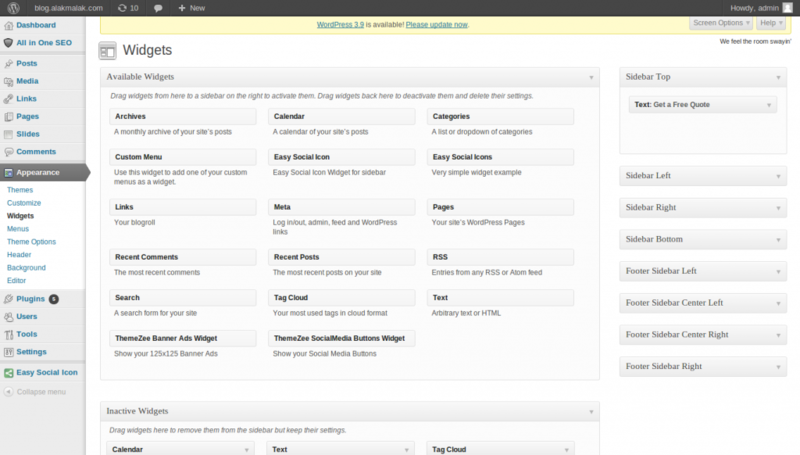 Editor: The user with rights to publish and manage posts as well as manage the posts of other users. Contributor: The user with the rights to write and manage posts but not publish them. Subscriber: The user with the ability to manage their own profile and read others posts. To setup the role of a new WordPress user, you need to go to the admin section and select the Users tab from the admin menu. Hit the add new option and a form will be displayed where you need to enter the username, email and several other personal details. The last option will the role of the user. There will be a drop down box from which you can select the role of the user. In addition to which it is also possible to set the role of an existing user by simply editing their profile. Alakmalak is a WordPress web development company involved in simple to complicated WordPress projects.